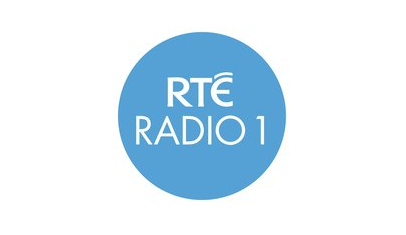 Ireland's RTÉ says its plans to launch on Manchester's small scale DAB radio service is part of its exploration of options in serving the Irish Diaspora in the UK, but is subject to regulatory approval by Ofcom. Since a516digital reported the news earlier this week, many readers have expressed interest in RTÉ's involvement in the UK's DAB platform, especially in view of RTÉ's widely reported plans to scale down longwave broadcasts over the next two years and its inclusion on the failed Listen2Digital D2 licence bid earlier this year. RTÉ's David Timpson told a516digital that the Irish broadcaster is "exploring every option" to reach the Irish Diaspora in the UK in the best way possible and it's participation in the small scale DAB trial in Manchester is an example of this. He confirmed RTÉ is working with Ofcom to order to meet the requirements of the UK's regulatory framework as a foreign provider of content, and as such it's inclusion on the Manchester small-scale DAB trial multiplex is currently subject to regulatory approval. RTÉ has indicated that the outcome of regulatory and technical aspects of the trial will influence further decisions on RTÉ's inclusion on UK DAB services. Small scale DAB trials have been licensed by Ofcom in ten locations across the UK, and will go on air during September and early October. These trials aim to find out whether small scale DAB is a technically and financially viable, low-cost access solution for radio stations wanting to join the DAB digital radio platform. The Niocast Digital Manchester trial, which RTÉ is planning to be part of, will broadly cover the centre of Manchester, according to Niocast's application to Ofcom. The coverage area will generally fall within the M60, with a few areas beyond the motorway likely to be able to receive the signal thanks to favourable topography. RTÉ Radio is available in the UK via Sky, Freesat and Virgin Media, and via smartphones and online platforms, including the TuneIn app on devices such as Roku, in addition to its longwave service on 252 kHz.